One major hurdle stands between you and the business school of your dreams: The GMAT. To get in, you'll need a good score. Fear not! 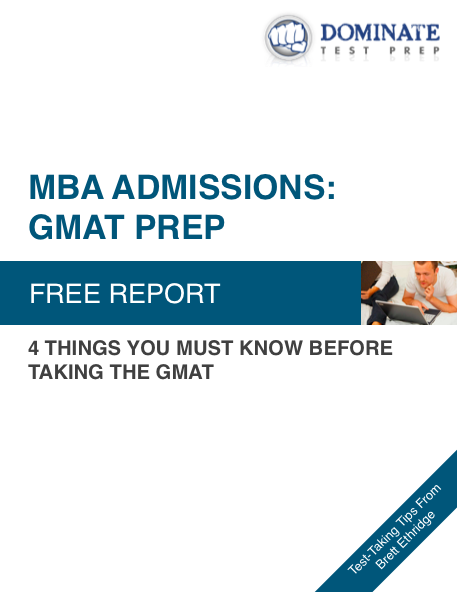 You can learn to dominate the GMAT. We'll show you how. Beware these Common GMAT Myths! Before taking the GMAT, there are a few things you should know. The GMAT is a beatable test, but your mindset going in is important. This free report dispels the misconceptions below and points you in the right direction. Enjoy! The GMAT isn't an intelligence test. Just because you got good grades in undergrad, that doesn't ensure GMAT success. Preparation is key as this report explains. GMAT math isn't hard, it's just different. And that's good news for you! There's a new way of thinking you need to adopt (it's learnable), and this report lays it out. You're going to get wrong answers on test day. The nature of GMAT score ensures that. But you can use that to your advantage! This report explains how.